In the Autumn-Winter 2018 campaign, the reflection becomes the visual metaphor for a multifaceted approach at dunhill; towards luxury fashion, masculinity and what defines a British house respectful of tradition yet finding a new voice in contemporary culture right now. 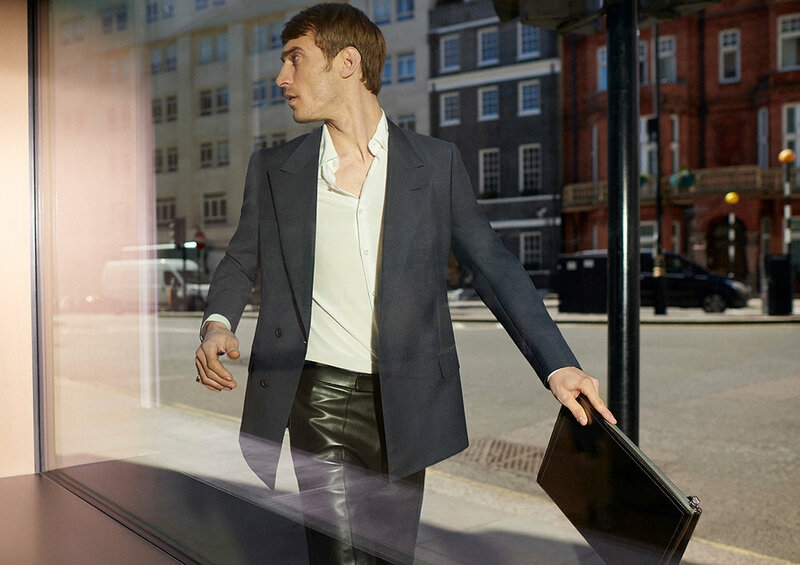 Focusing on the model Clement Chabernaud – a purposefully familiar face from the menswear world and a favourite from the dunhill show – the photographer, Jack Webb, captures him in the shifting, reflected settings of London. Shot in the streets and through the glass fronted buildings of Mayfair, the timeless terrain surrounding Alfred Dunhill’s Bourdon House is explored via ‘stylised reportage’; a reflected world of half fact, half fiction. Here, Chabernaud wears the mix of the traditional cut through with the casual, found in dunhill London’s Autumn-Winter collection. Sinuous tailoring and layered outerwear, in the form of traditional cashmere coats, still maintain a feel of ease when mixed with dunhill’s peerless masculine leather goods, encompassing shoes, bags and even trousers. The extravagant is made everyday and vice versa, while ‘executive style’ is both celebrated and subverted. Altogether, the codes of dunhill London are reflected and reconfigured for a new chapter at this storied British house.